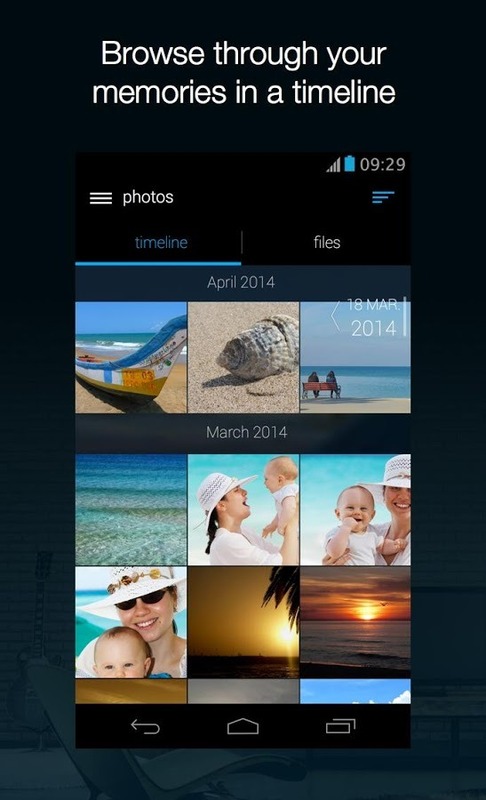 Last week Cody tore down Google Photos 1.5 and saw what was on the way. We then got confirmation yesterday. Now Google has shown the features off for the world to see. 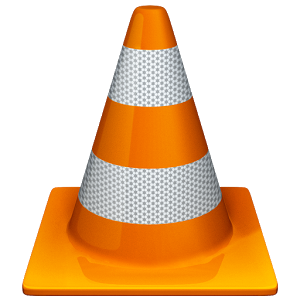 Reports about the plans for the next major release of VLC Media Player indicate that support for Chromecast output is on the roadmap. This is scheduled for the v3.0 release of the popular desktop client, but it is unclear in which version to expect it to appear on Android - the beta in the Play Store is at 1.0.0. While there are a bevy of changes expected in the project's jump from 2.2 (which itself is not yet released) to 3.0, of most interest to Android users and Google fans is the Chromecast capability. This at least shows that the development at hand is about more than just their trio of desktop clients. There are a lot of cloud storage apps out there, but StreamNation is one that has a very particular focus. As you might guess, it's all about the stream: the app and service are designed around remotely accessing video, audio, and photo content on top of everything else. 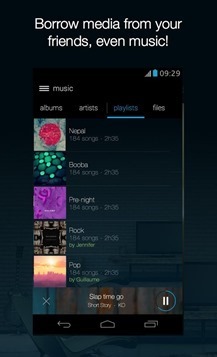 The new Android app was just released in the Play Store, and it's surprisingly complete for a new service. You'll need a free account, or link it to Facebook (but not Google+). Someone had fun with that center screenshot. 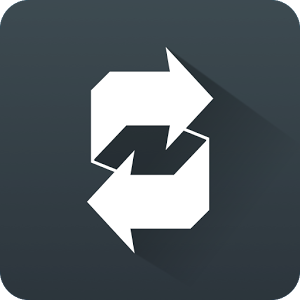 Uploaded content is automatically divided by file type into video, audio, and photo folders. Update: the developers of Primecast have confirmed to Android Police that they were "locked out" of the app's streaming functionality. Don't say we didn't warn you. 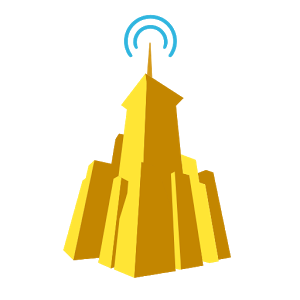 On Thursday we published a story about Primecast, an enterprising app that allowed Android users to log in to Amazon and stream Amazon Instant Video movies and television shows to Chromecast. Though Amazon has (finally) allowed non-Kindle Fire owners to watch their purchased or subscribed videos, they haven't enabled Chromecast like their competitors at Google, Netflix, and others. 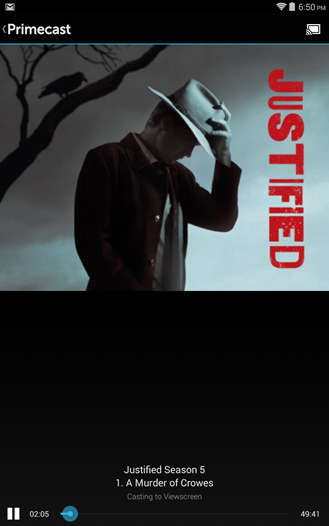 Presumably this is in hopes of driving customers to the Fire TV platform. Primecast worked around that limitation, allowing Amazon customers (paying customers, we might add) to stream videos that they had purchased or placed in their watchlist directly to a Chromecast. 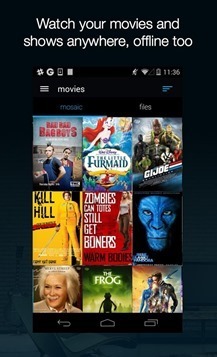 After literally years of waiting, Amazon finally gave Android users access to their purchased movies and television shows on non-Kindle Fire devices. And lo, the heavens did open and a chorus of angels did declare, "where's the Chromecast support?" With Amazon promoting its Fire TV platform and a new Chromecast competitor of its own, it looks like we might have an even longer wait for that particular feature. But one enterprising Android developer went and made it for you. Primecast hooks into Amazon's back-end services, showing you a basic list of your purchased and rented movies and TV shows. 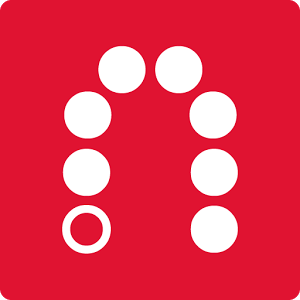 A couple of weeks back the Slingplayer app for phones was updated to include the long-overdue Chromecast streaming feature. 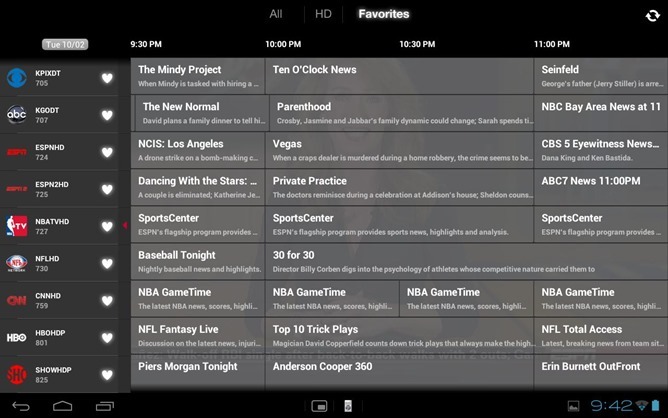 And because Sling Media still seems loathe to make a single app that works across both phones and tablets (hang on a second... yup, it's still 2014), the tablet app is getting that feature today. 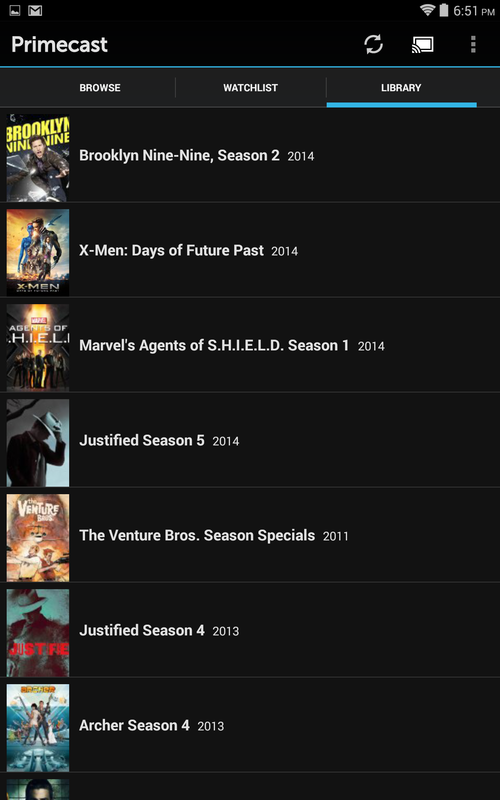 Slingbox owners with compatible hardware can download it now for the hefty additional price of $15. 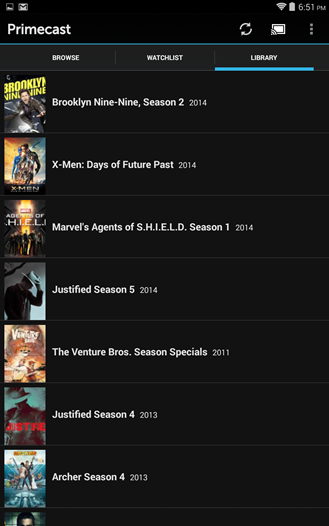 The only other notable addition to this version of the tablet app is Roku compatibility. Technically the stand-alone Roku set top boxes don't even need an Android app to handle Slingbox streaming, but later editions of the phone app have been able to "hand off" the current streaming video from your home TV to a remote Roku so long as it's associated with the same Sling account. In addition to a handful of new Chromecast-supported apps announced by Google, Sling Media is getting in on the action. 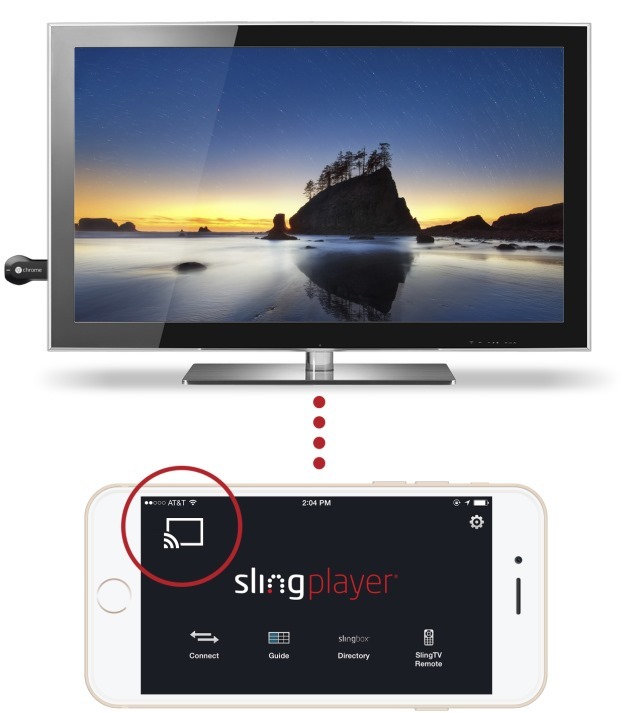 According to this blog post, the Slingplayer app for Android smartphones now has Chromecasting capability. Though the latest update for the app itself was way back in July, Chromecast support is often enabled via a server-side switch, so it should be working now. Compatible Sling hardware includes the Slingbox M1, 350, 500, and SlingTV. Apologies for the iPhone. I don't have a Slingbox, because I don't have cable. If you're unfamiliar with Slingbox, it's a little gadget that you attach to a cable box so you can record television and re-broadcast it to your computer or mobile device over the Internet. The stable of apps that support Google's Chromecast device just seems to keep growing. In addition to NPR One and Watch ABC last month, Google just announced a handful of new apps that have been enabled today. 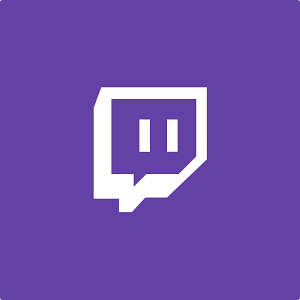 The biggest additions for our readers are probably Twitch, the online game stream broadcasting service, and iHeartRadio, the radio streaming service from ClearChannel iHeartMedia. Both of them should be ready to stream content to your TV now. The WATCH Disney apps have also been upgraded. That would be WATCH Disney Channel, for pre-teens, WATCH Disney Junior, for the wee bairns, and WATCH Disney XD, for little boys and grown men who enjoy watching entirely too many superhero cartoons. 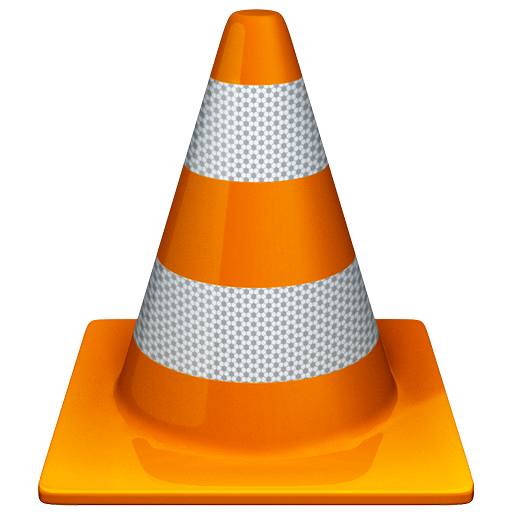 Aside from Windows Media Player, there is probably no single video player more widely installed on computers than VLC. It may not have the prettiest interface (or icon), but everybody eventually turns to that huge orange traffic cone, especially for file types that simply can't play in anything else. 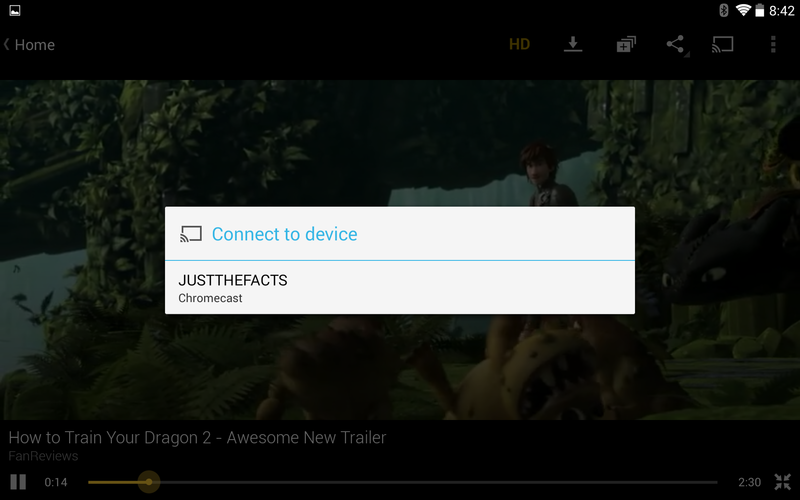 While VLC provides a mostly full compliment of features, there is one request that has gone unanswered for a while: Chromecast support. It looks like we finally have confirmation, it's happening! 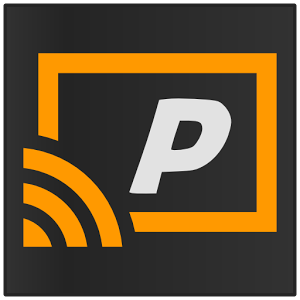 Last week, VideoLan developer Felix Paul Kühne confirmed that Chromecast development had begun, at least for the iOS version of VLC. 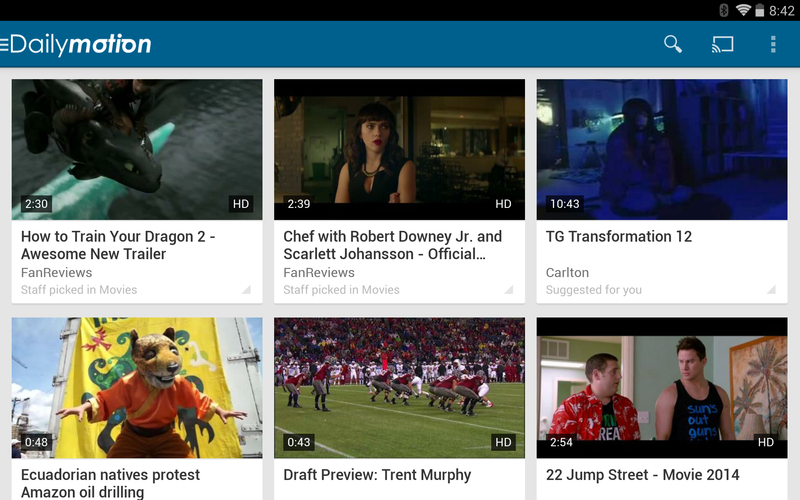 Take note, video app developers: your Android app should have Chromecast support by now. It just makes things so much better for everybody. 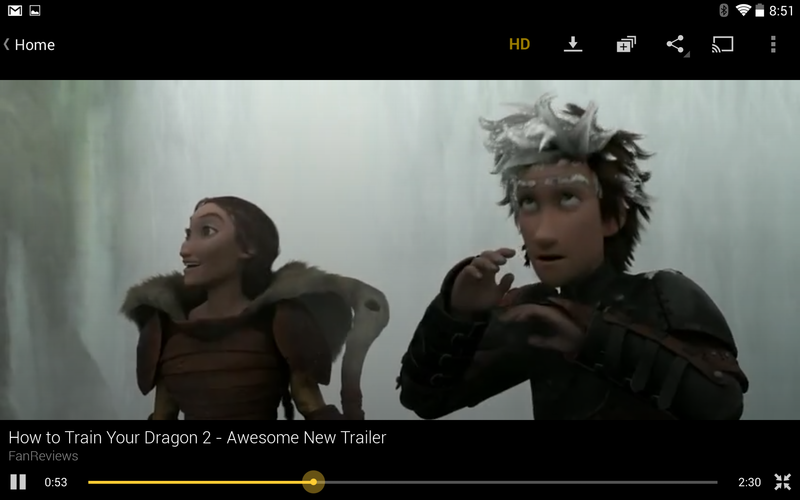 Video site Dailymotion knows where it's at, because the latest version of the beta app in the Play Store can now stream to the Chromecast. Better late than never, huh? Other than Chromecast support and the usual bugfixes and performance tweaks, there doesn't appear to be any other significant changes to version 4.1. Casting videos works in the usual way, just tap the Chromecast icon and select the unit you want to use. The app allows you to make the connection even before you select a video, so you'll be able to watch your content uninterrupted.